I would love a slice of this moist and yummy cake . This cakes looks yumm. Love the bright yellow colour. I made so many pumpkin recipes this month that I am a little sick of pumpkin at this point. When that goes away, this is definitely one I would try! 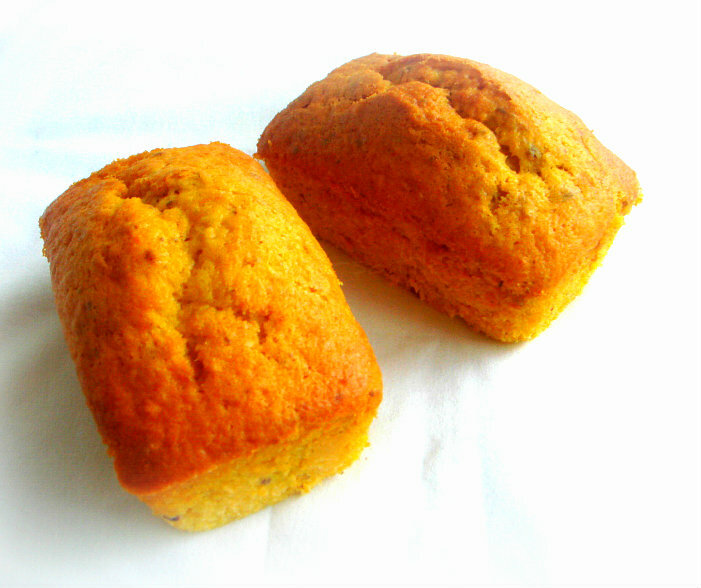 Have heard that pumpkin cakes tastes yumm. Never tried it. Looks too good. very nice pound cake!!! looks delicious! Would have tasted divine Priya..The color looks absolutely appetizing ! looks so soft and yummy cake.. Perfectly baked and nice colour. Loved the color of the cake. Pumpkin n pista is an interesting combination. Great seasonal use in baking! Love the color! Love he beautiful color and so wute they are looking. looks lovely and would go so well with some coffee.. i have never made these ignot kinda stuffs, will have to try something soon..
Beautiful color, and incredible and moist cake! Super Priya. Love the color. I picked a can of pumpkin puree and want to make something like this !! The picture reveals that the cake is super moist n delicious, well done dear!!! both healthy and lovely colored.. nice! Pretty color and I love how that loaf has risen so well.